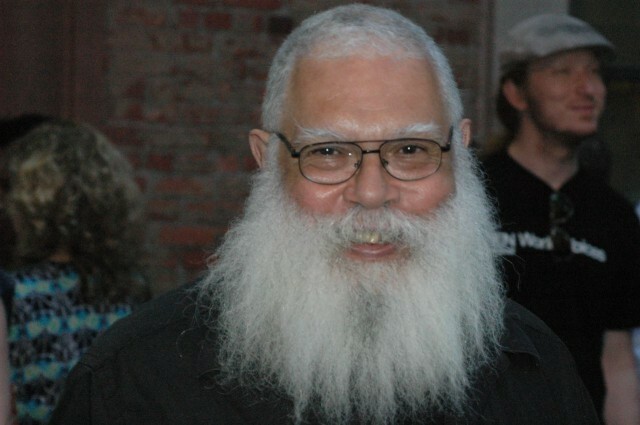 Samuel Ray Delany, Jr. (born April 1, 1942), Chip Delany to his friends, is an American author, professor and literary critic. His work includes fiction (especially science fiction), memoir, criticism, and essays on sexuality and society. His science fiction novels include Babel-17, The Einstein Intersection (winners of the Nebula Award for 1966 and 1967 respectively), Nova, Dhalgren, and the Return to Nevèrÿon series. After winning four Nebula awards and two Hugo awards over the course of his career, Delany was inducted by the Science Fiction and Fantasy Hall of Fame in 2002. Since January 2001 he has been a professor of English and Creative Writing at Temple University in Philadelphia, where he is Director of the Graduate Creative Writing Program. In 2010 he won the third J. Lloyd Eaton Lifetime Achievement Award in Science Fiction from the academic Eaton Science Fiction Conference at UCR Libraries. The Science Fiction Writers of America named him its 30th SFWA Grand Master in 2013.